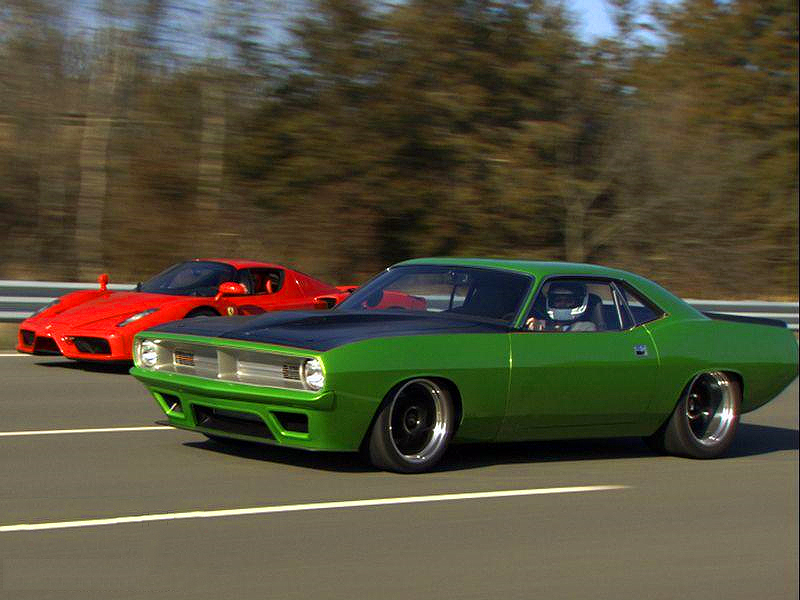 Just look at this awesome Pro Street 1968 Dodge Charger painted in the most recognizable Sublime Green Mopar color. What we know so far about this Charger? 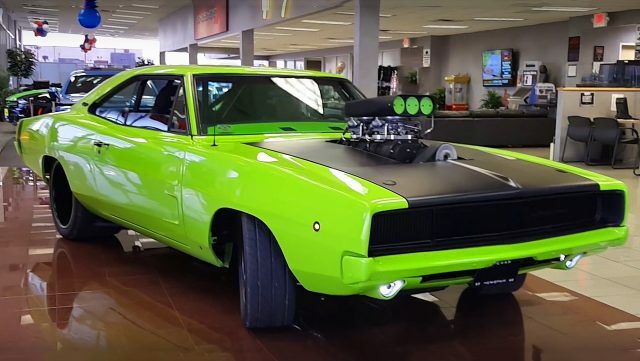 Although, this ’68 Charger is painted in Sublime Green, there are details which are painted in black, like the hood, front grille, door handles and the two black stripes on the back. Inside this 1968 Dodge Charger there are Sparco racing bucket seats with safety harness and the roll cage bar. But the most important on this Pro Street 1968 Dodge Charger is the engine under the hood. 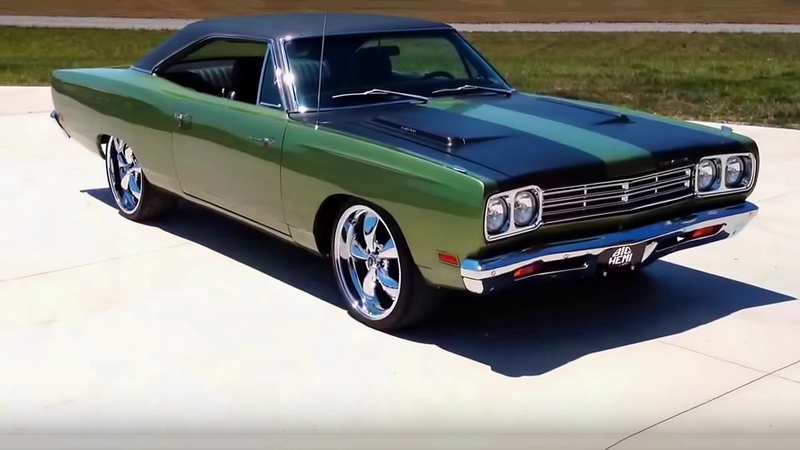 This Mopar is powered by Blown Chrysler’s 526 cubic-inch, 8.6 liter HEMI big-block Crate V8 Mopar engine. 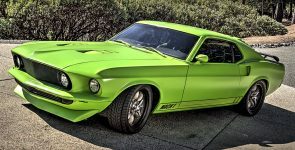 With two four-barrel carburetors this engine produces insane 950 horsepower. 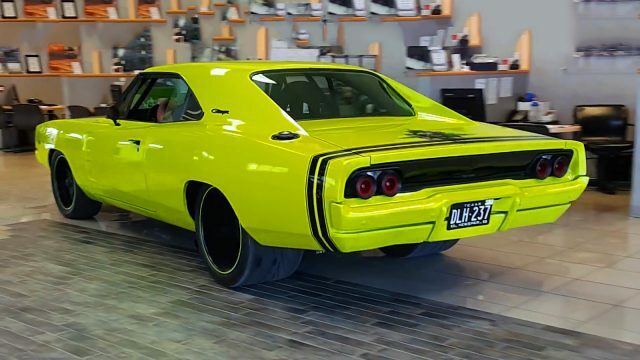 Also, this Charger is equipped with Wilwood high performance disc brakes with self-vented rotors on all four wheels, featuring super cool forged black wheels with low profile tires. In our opinion, this might be the coolest Charger for the 2016. © 2019 MCD. All rights reserved.